and Daniel, the embittered cellist, whose lack of money is made up for by his dark charisma. There are times where Gabel’s beautiful wording seems to reverberate with vitality—you are caught up in the swiftness of Brit’s bow, the biting in Daniel’s words, the electricity passed along each measure of music. Without hearing a note, you’ll discover the triumph and the loss that comes with the reward of being in an ensemble. Each member of the quartet vibrates on their own different frequency, but produce sound waves in the same key. The novel itself, while not full of action or climax, holds in it a quiet strength and the wisdom of its author. The flux of time and gravity on people is captured in such a specific and wondrous way that you cannot help but feel is magic. You’ll find the way their comradery and friendship morphs over time to be bittersweet. You’ll root for them, cry with them, relate to their struggles. While revolving around adults and therefore carrying some adult themes, it’s a novel most people can find within their own selves: something aching and pulsing, something in the soul. 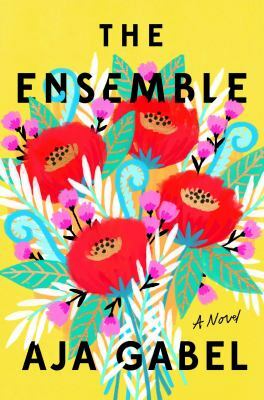 The Ensemble by Aja Gabel is available for checkout from the Mission Viejo Library. This entry was posted in Uncategorized by Esther Huang. Bookmark the permalink. Esther Huang is a sophomore attending Mission Viejo High School. Her personal interests consist of writing poetry, making music, learning about culture, and trying her utmost best to refrain from messing up her own life. In her free time, she frequently questions her own existence and brags about the adorableness of her cat. This seems like such a unique and poignant book, and I hope to read it sometime! Wonderful review!